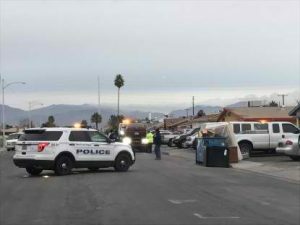 NORTH LAS VEGAS (KSNV News3LV) — We’re learning more about what led a North Las Vegas SWAT officer to shoot a driver he encountered at a crime scene Jan. 3. 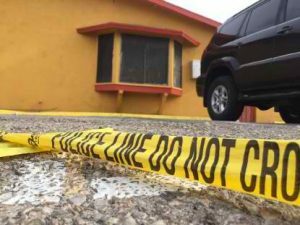 The man who was shot is opening up about what happened as he lawyers up to sue the department claiming his constitutional rights were violated. Phillip Murry, 25, said he was driving home down Ellis Street when he noticed an armored SWAT truck on the side of the road with its lights initially off. Once Murry passed the truck, he saw 10-year North Las Vegas Police Department veteran Sergeant Michael Booker, 40, get out. While still in his car, Murry said he felt pain in his right foot and reacted by reaching down. “That’s when I hear him yelling at me. ‘What are you doing? Show me your hands? What are you reaching for?’ So I put my hands in the air,” Murry said. North Las Vegas Police investigators have yet to update the public on this shooting but said this on the day of the incident. 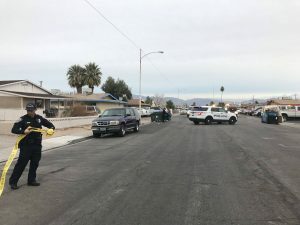 “We believe that the officer at one moment perceived a threat and he discharged his firearm,” said Aaron Patty, a police spokesman for NLVPD. It’s something Murry says didn’t happen. “I have no idea what he could have perceived as a threat. I had nothing in my car that was a threat to the officer,” Murry said. Murry’s attorney Peter Goldstein said they’re going to file a complaint against the department early next week. “We don’t know whether this was an inadvertent discharge or whether it was intentional,” Goldstein said. Murry has yet to be charged with a crime. “I don’t believe they’re going to be filing charges against Phillip. 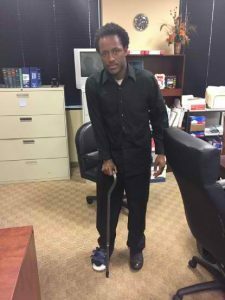 I would imagine the district attorney’s office should look at filing charges against Sergeant Booker,” Goldstein said. 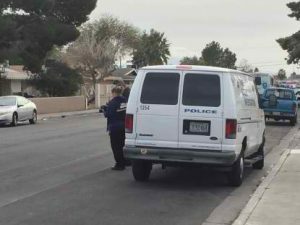 News 3 reached out to the North Las Vegas Police Department Thursday to provide further details. We were told the department is overwhelmed by the recent death of one of its officers and could not provide an update. They expect to update the public next week.